Step off the beaten path and head to Mary Cairncross Scenic Reserve and Distillery Tours. Venture out of the city with trips to Giddy and Grace (in Maleny) and Natural Bridge (in Springbrook). And it doesn't end there: let the kids burn off some steam at South Bank Parklands, identify plant and animal life at Lone Pine Koala Sanctuary, browse the collection at State Library Of Queensland, and take in the waterfront at Eagle Street Pier. 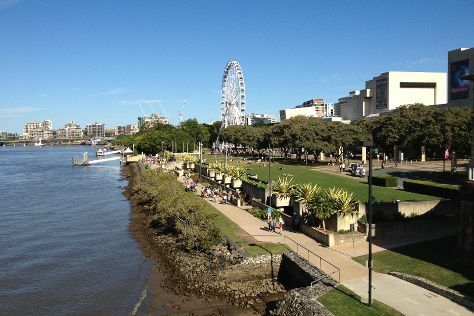 To see reviews, ratings, traveler tips, and tourist information, you can read our Brisbane trip itinerary maker site . If you are flying in from Spain, the closest major airports are Brisbane International Airport and Gold Coast Airport. Expect a daytime high around 31°C in November, and nighttime lows around 21°C. Wrap up your sightseeing on the 25th (Mon) to allow time to travel back home.